We haven’t seen much of the Fallout 76 actual gameplay, and it’s been confirmed earlier this week that more footage is coming next week. We now know precisely when that will happen. Twitch partner and YouTuber iamfallfromgrace confirmed that footage recorded during a recent event held by Bethesda will be coming on October 8th. I’m able to show off some gameplay on October 8th! ???? On a related note, Bethesda’s Pete Hines also revealed some additional details on the game’s mechanics. A melee build is going to be more than viable, as there will be plenty of wqeapoons and perks. Pete Hines also commented on raiding other players. You get punished if you raid people who don't want to fight back and you murder them anyway. I imagine if you find someone your own size that doesn't mind a battle, then they'll fight back and there's no penalty for anyone. 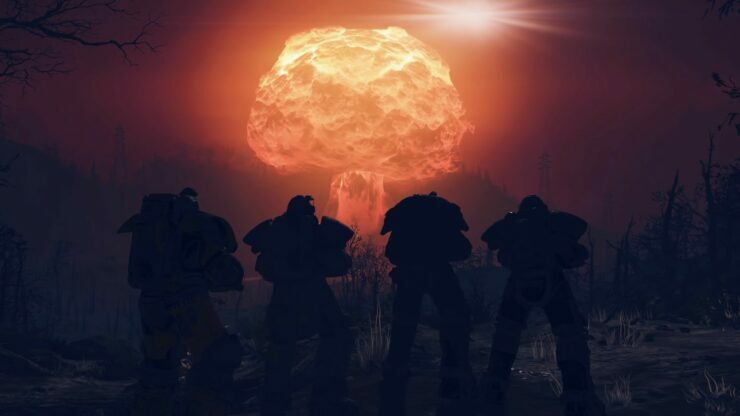 Finally, Pete Hines further commented on the possibility of Fallout 76 cross-platform play, hinting at a possible implementation down the line. A few days ago, Bethesda confirmed when those who have pre-ordered the game will be able to take part in the B.E.T.A.